Vintage Irish Old Postcard, Ireland, County Co. Wicklow. 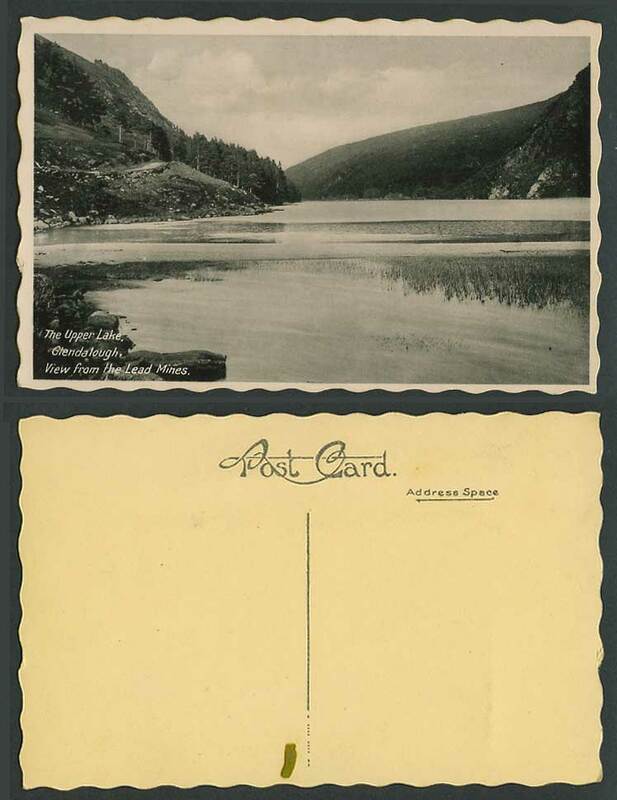 Upper Lake, Glendalough, Panorama View from Lead Mines, Hills Co. County Wicklow. Background: Glendalough is a village located at the site of an ancient monastery located in County Wicklow, Ireland. It was founded in the 6th century by St. Kevin, a hermit priest, and destroyed in 1398 by English troops.